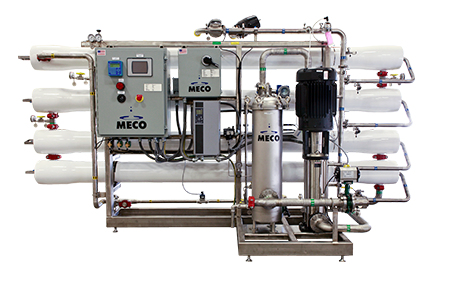 MECO pure steam generators are designed to produce biopharmaceutical grade (USP, EP, JP, CP) steam used in the biotechnology, pharmaceutical and life sciences manufacturing processes. 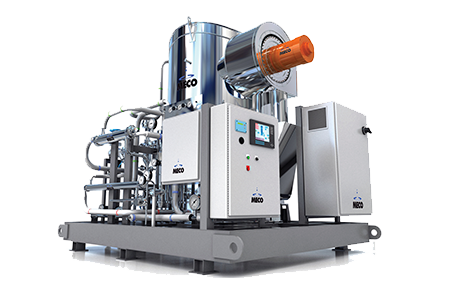 The MECO Pure Steam Generator design affords superior separation, maximum reliability, advanced ethernet capable PLC control system with user friendly OIT, all with ease of operation and maintenance. 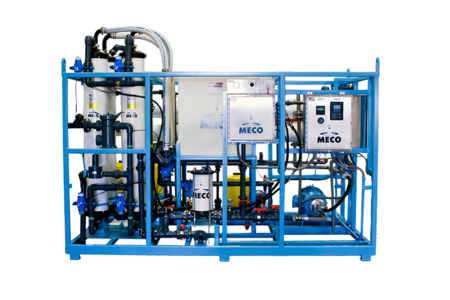 MECO’s three stage separation system employs vertical disengagement, stainless steel baffles, and a demister which ensure superior separation and steam dryness. 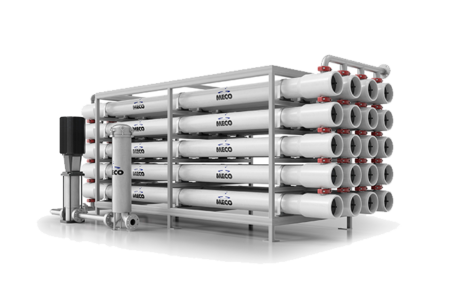 With thousands of installations worldwide, MECO offers the broadest product line in the industry with sizes that range from as low as 200lbs. /hr. (90 kg./hr.) to 18,000 lbs./hr. (8,165 kg./hr.) of pure steam. 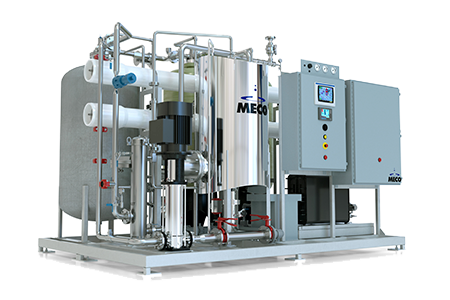 MECO pure steam generators are designed in accordance with cGMP and BPE standards, including sanitary construction features such as double tube sheet evaporators, sloped piping and low point drains, minimum dead legs and sanitary connections. 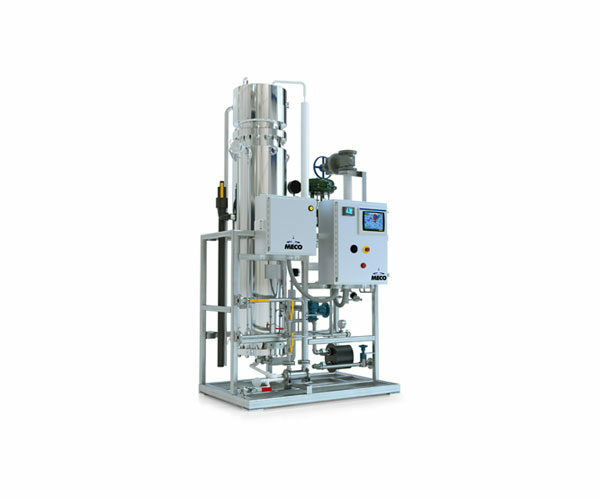 Each of our biopharmaceutical steam generators is equipped with PID loops for precise control of the pure steam pressure and feed water level, providing rapid response to changes in the pure steam header all with stable operation. 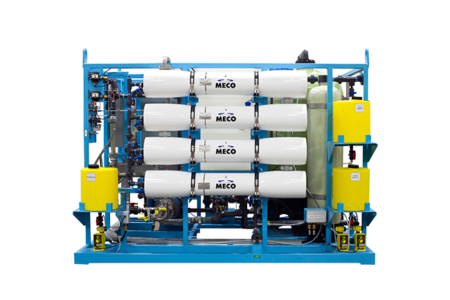 Engineered to fit in to almost any space, MECO pure steam generators are offered in both vertical and horizontal designs. 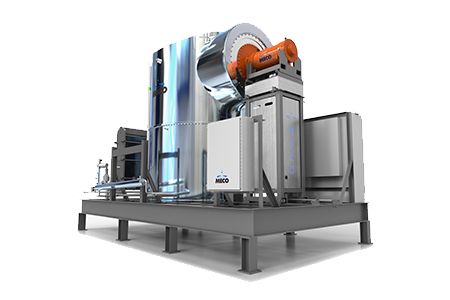 Many options are available with our pure steam generators, to include a pure steam sampling system to ensure product quality. 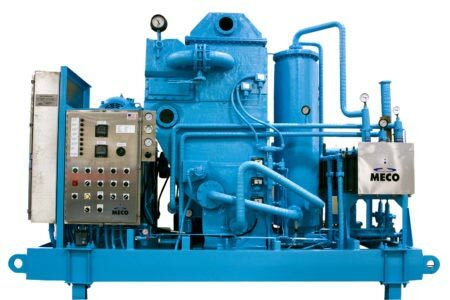 Notes: Pure steam capacities are dependent upon both the plant steam pressure provided and the pure steam pressure required. 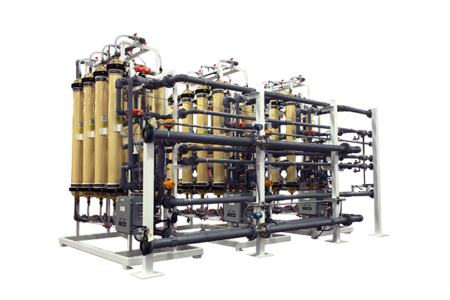 The capacity ranges shown above are based on 100-116 PSIG (6.9-7.6 BARG) plant steam pressure and 40-60 PSIG (2.8-4.1 BARG) pure steam pressure. A feed water temperature of 180°F (82°C), without the use of a feed heater, was also assumed. 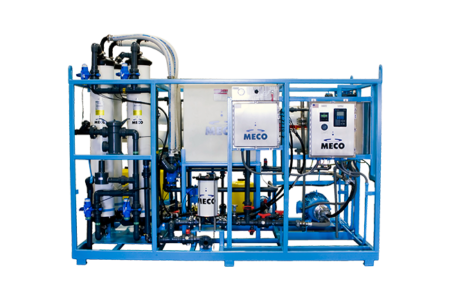 For more information on MECO pharmaceutical-grade pure steam generators, how they work, how they can fit into your operation contact us today.